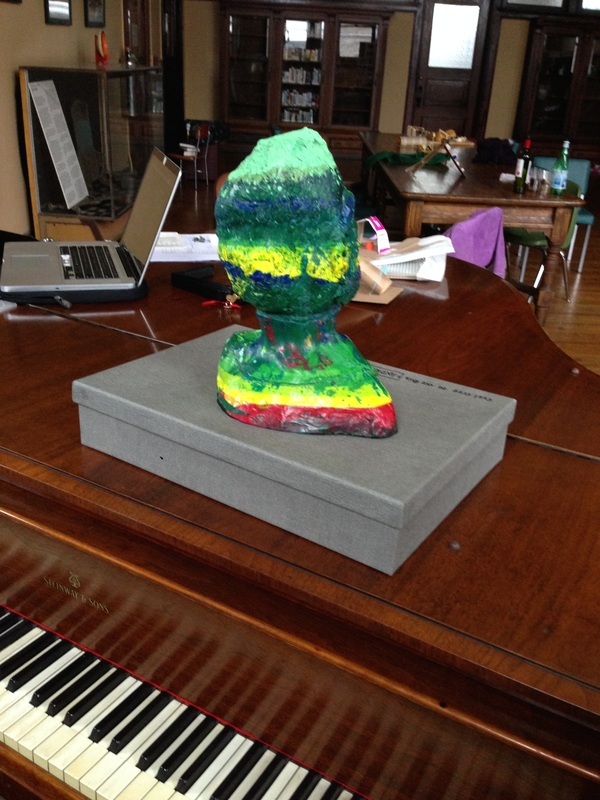 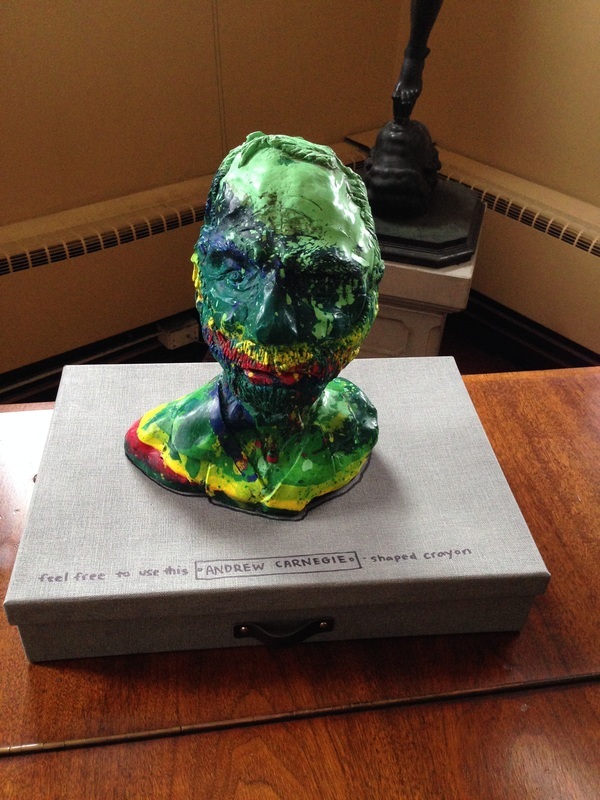 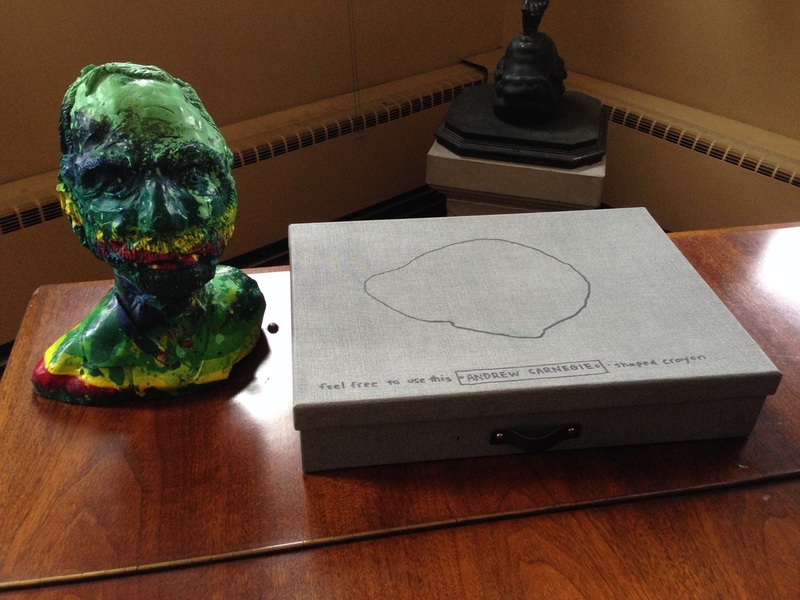 My contribution to the The Art Lending Collection at the Braddock Carnegie Library is a crayon in the shape of Carnegie's bust, intended to be used by anyone who takes the piece out. 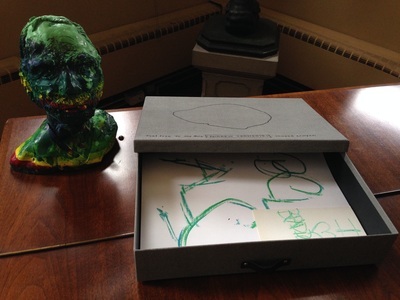 The stand for the bust is a box for paper that over time will fill with drawings, rubbings, etc. of people who have taken the Carnegie Crayon home. I hope that at some point in the future all that will be left of this bust are the marks it made.